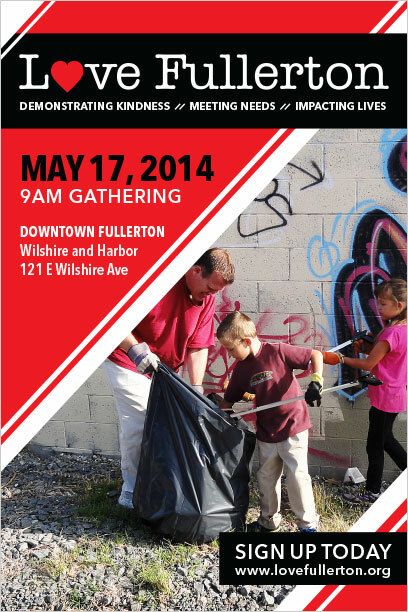 Fullerton is launching its first annual citywide service day called “Love Fullerton” on May 17. It is a partnership of churches, city government, local businesses, service organizations, education and local residents all working together to enhance the world-class experience of living and working in our city. Please see the flyer below for more information and be sure to sign up at http://lovefullerton.org/. I was privileged to participate in the annual Donate Life Run Walk in Fullerton with my staff to honor those who have donated organs and volunteered as well as the families and survivors of those who fought against life-threatening illnesses. Read more to find out how you can help. The next Board of Supervisors meeting will be Tuesday, May 13 at 9:30am. The agenda may be accessed here. Who doesn’t love an uncomplicated beer? When Anaheim asked the County for help to make the city more “brewery friendly,” the County responded by agreeing to streamline inspections of craft breweries. The new rules allow beer manufacturing facilities to be inspected by the California Department of Public Health instead of the Health Care Agency’s Environmental Health Division, which inspects retail and wholesale food establishments in Orange County. HCA Environmental Health determined that the craft breweries—those which do not offer beverages other than samples of their product and which do not offer food other than crackers or pretzels—were low-risk in nature and best overseen by the State. Inspections of beer manufacturing facilities in Los Angeles and San Diego counties follow the same procedure. Anaheim interim city manager Kristine Ridge thanked the efforts of Supervisor Shawn Nelson and the Health Care Agency for swift accommodation in removing what many brewery owners considered a bureaucratic hurdle to expansion. HCA Environmental Health identified 10 craft breweries in Anaheim eligible for the new regulatory oversight. Should the activities of the breweries change, such as offering food for sale or manufacturing beverages other than beer, the County will resume primary oversight. The Board approved the FY 2013-14 third quarter budget report and recommended actions. Notably, property tax revenue is nearly 6% above projections, which equates to about $17.5 million more than anticipated. However, sales tax revenue from Proposition 172 is slightly lower than projected by about half a percent, or $700,000. There was less use of General Fund dollars due to lower than projected expenditures and higher than projected revenues in Public Protection. In addition, there was higher than projected revenue due to timing of receipt of the 2014 prepaid pension obligation bond proceeds. The total budgeted position count for the County remains at 18,035. Department requests recommended for approval with a $4.4 million Net County Cost impact. A list of the highlights is available here. The full budget report may be accessed by clicking here. On Tuesday, May 6th, the Board of Supervisors had the opportunity to address the shortfall in OC Animal Care’s budget because for the past 6 years their fee structure has not kept up with rising costs. 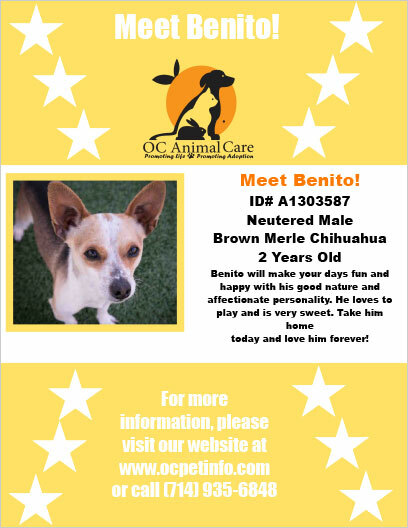 OC Animal care is unique for the reason that the system is supported by the animal owners and is not subsidized by general taxpayers. We are one of the few organizations that provide 24/7 field services, extensive public education, and the shelter is open 7 days a week. Due to the County’s current financial situation with the State, we are unable to backfill the deficit of $626,322 with our General Fund for FY 2014-2015. The bigger challenge is trying to run the operation without general funds, and this is accomplished by operating a user based system. In order to deliver a better system, we need more partners and an improved shelter. On December 10, 2013 and again on January 28, 2014, the Board of Supervisors discussed the proposed new fee structure, however, the new fee schedule was not approved. On Tuesday, with Supervisor Nelson leading the charge on a 3-2 vote (Bates and Nguyen dissenting) the Board of Supervisors voted to have OC Animal Care bring back their proposed fee study in an effort to offset the upcoming year’s revenue shortfall in conjunction with higher contributions from our contract cities. OC Animal care currently has contracts with 17 of Orange County’s 34 cities. After meeting with the cities and city managers, it was clear that they favor increasing fees to avoid cutting service; they desire a financial structure that is sustainable, which means not subsidizing the system with taxpayer money. Supervisor Nelson has continually expressed his support for OC Animal Care to be an industry leader in regional animal care services. OC Animal Care is looking to bring back the item at the June 10, 2014 board meeting. The Board received a legislative report from Jim McConnell, who discussed the FY 2015 federal budget, an update on the Santa Ana River Mainstem Project and John Wayne Airport’s application as a Port of Entry. The application for the Port of Entry may require up to two years to process. The presentation may be viewed here. Last week, the Board appointed the two Supervisorial regular members to the Cal Optima Board of Directors – Supervisors Todd Spitzer and Janet Nguyen. Supervisor Moorlach will serve as the alternate member. Social Services Agency Director Mike Ryan has transitioned to an ex-officio position on the board. The Board of Supervisors restructured Cal Optima’s Board of Directors in March, with the changes taking effect for the May 1 meeting. For more information on the Cal Optima Board of Directors, click here. For 73 years, USO centers have welcomed troops and their families at airports across the nation. A unanimous vote last week by the Orange County Board of Supervisors will allow that warm welcome to be extended, for the very first time, at John Wayne Airport (JWA). Our armed service members work tirelessly to safeguard our freedom and our security. We are extremely proud of their service and delighted to work with the Bob Hope USO to provide a comfortable and welcoming environment at JWA for traveling service members and their families. The center will be located in the Airport's Terminal B, next to the baggage claim area on the Arrivals Level. Staffed by volunteers, the center will feature a canteen, movies, travel assistance and Wi-Fi. Active and reserve members and their dependents are welcome, as well as military retirees on a space available basis. All services are complimentary for troops and guests. The Transportation Corridor Agencies (TCA) has announced that May 13 is the last day to pay with cash on The Toll Roads (State Routes 73, 133, 241 and 261). Cash toll collection will cease on the roadways on Wednesday, May 14, at 12:01am. Fortunately, other options still exist. Fastrak users will have continued ability to use their transponders. In addition, Express Accounts may be set up online or with the mobile app to pay the toll charge per transaction or to be debited from a prepaid account. For tourists or infrequent users, one-time tolls may postpaid within 48 hours of using a toll road to avoid a violation. The presentation below contains more useful information. For more information and to sign up for an account, visit the Transportation Corridor Agencies website. The $104.3 million project was completed through the partnership of Caltrans and OCTA with $82.2 million of Proposition 1B, a Corridor Mobility Improvement Account Program (CMIA) and $22.1 million of Measure M, the county’s half-cent sales tax for transportation improvements. The 57 freeway is a vital link for drivers in Orange County and we at OCTA are thrilled to see this addition open. We’re putting Measure M money to good use by easing congestion and helping drivers get where they need to go more quickly. The project also included the realignment and reconstruction of 12 ramps, three miles of new sound walls, 30 new retaining walls and the widening of 13 bridges. A second segment of the Northbound SR-57 from Katella Avenue to Lincoln Avenue will also be widened to improve mainline mobility and throughput with completion in late 2014. Congratulations to the 13,000 sponsors, donors, walk-runners and volunteers for another outstanding memorial and day of thanksgiving for the members of Donate Life and One legacy. Hosted at Cal State Fullerton on a glorious morning of perfect weather and warm winds after a night of frightening wind storms and rain, the gala filled the entire infield of the sports fields at CSUF with booths and support teams. Supervisor Nelson, his wife and family, along with staffers Mark Lopez, Scott Carpenter and Steve Spernak attended the morning ceremonies where the Supervisor presented a special commendation to Kathleen and Craig Hostert who were the local inspiration for the organ transplant and life-saving Donate Life efforts through DMV. Both Kathleen and their son Justin have donated kidneys to their husband and father, respectively, which led to their commitment to help thousands in need of the life-saving gift from volunteers or organ-donors who register with the DMV. 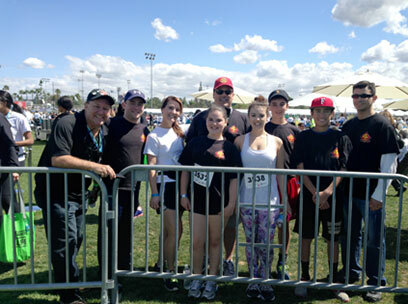 After the opening ceremonies, release of doves to honor the surviving donors’ families and inspirational songs from talented vocalists, the walk-run began where thousands lined up as family or support groups on Gymnasium Drive for the 3 mile walk around and through Cal State Fullerton. Hundreds of seniors, caregivers, donors and sponsors celebrated another fantastic year of caring for the 365,000 elderly in Orange County at the annual Council on Aging Awards Luncheon. After the sponsors received special recognition and delivery of a bound edition of photos from the incredible Aging as Art project, the audience was treat to introductions to three former Rose Parade Queens who attended to show their support for the Council. The three Rose Queens, from 1947, 1954 and 1959 stood to the applause just as they did as young girls going down Colorado Boulevard over 60 years ago. Their beauty and spirit for living was evident and a perfect cue for the luncheons keynote speaker, Stephanie Edwards. Ms. Edwards closed her message to a roaring applause by saying, “Choose joy after you’ve considered all the other options!”. Supervisor Nelson’s Policy Advisor Steve Spernak presented Ms. Edwards with a framed copy of the John Lennon lyrics to Imagine to honor the inspiration and optimism she gives over 1 billion people world-wide each new year’s morning as a parade color-commentator for KTLA news. (Left) Policy Advisor Steve Spernak delivered a framed Certificate of Appreciation from Supervisor Nelson to Stephanie Edwards. (Right) Council Director Lisa Wright-Jenkins and three former Rose Parade Queens join Steve Spernak. The Orange County Visitors Association (OCVA) hosted their annual Tourism Conference “The OC Forever Summer” the Anaheim Hilton in the Pacific Ballroom. The OC Tourism Conference is held each year in conjunction with National Travel & Tourism Week in recognition of the important role tourism plays in the local, regional and national economy. The purpose of the conference is to showcase the Orange County Visitors Association role in efforts to increase domestic and international tourism through enhanced brand recognition and lucrative partnership formations, and to serve as a resource venue for visitor businesses. Supervisor Nelson kicked off the event by presenting a Board of Supervisors resolution declaring May 3rd through 11th as “Travel and Tourism Week in Orange County” to Gary Sherwin, Chairman of the OC Visitors Association. Supervisor Nelson then spoke about how the importance of our future rail system and John Wayne Airport expansions effect tourism in Orange County. In 2013 alone, Orange County had over 44 million visitors! Also in attendance was Supervisor Nelson’s lovely wife, Sharon Nelson, who has served on the Orange County Tourism Council as an ex-officio member and Fourth District representative since March 2011. The council is a non-profit agency that represents a wide variety of local tourism-related organizations including accommodations, arts & culture venues, attractions, chambers of commerce, convention & visitor bureaus, retail & shopping center and visitor services. 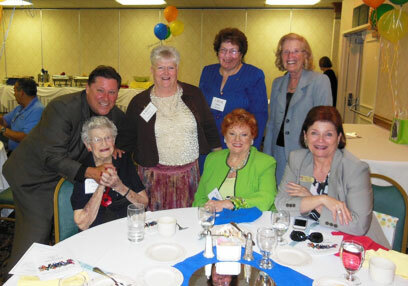 The Women’s Division of the Anaheim Chamber of Commerce enjoyed a terrific luncheon honoring students for their dedication and service to the community on April 24, 2014, at the Clarion Hotel. Supervisor Nelson was proud to present Certificates of Recognition to each of the recipients who were chosen from a selection of hundreds of incredible scholar-athletes from throughout Anaheim. The recipients had impeccable grade averages, were active in ASB or student-services groups and participated in community projects through their schools, churches and service groups. The next event for the Women’s Division will be May 29th where a dozen young women will again be honored for their service and commitments to making Anaheim the world-class city that it is. Throughout the month of August, 2014, US Airways magazine will be featuring a 20+ page editorial profile of Orange County's tourism assets and vibrant lifestyle. This unprecedented coverage will be available to the 6.5 million passengers who board US Airways flights that month. To see an example of the coverage, please see the recent coverage for Los Angeles Los Angeles Arts Profile and also see the coverage they completed for Orange County's Cultural Tourism assets last year Orange County Arts. You will notice that the format is unique - page after page of beautiful images and expertly written editorial, void of any distracting display ads. Please join us and our hosts, the Publisher and business development team from US Airways magazine, on Tuesday May 20th at the magnificent Montage Laguna Beach's Studio Lawn for a cocktail celebration of the partnership. This is a great opportunity for you to learn how to be involved. Please see attached invitation for more details. In closing we would like to let you know that the OCVA considers hundreds of opportunities from the media each year and does all of the proper vetting before accepting these partnerships. 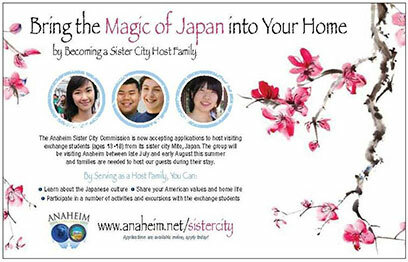 We encourage you to please come and see why they thought this one was special, and ideal for Orange County's objectives. Thank you for your partnership! See you May 20th. The Orange County Registrar of Voters is seeking more than 6,500 volunteers for the upcoming June 3, 2014 2014 Statewide Primary. Election to help as poll workers. Whether you’re interested in serving on Election Day, donating your business or home for a day as a polling place, or working on Election Night. Volunteer today and the rewards last a lifetime. On August 1, 2014, the County of Orange will celebrate its 125th Anniversary. To help commemorate OC 125, the County is asking all Orange County Cities, non-profits, and other organizations to send us all of your key events throughout 2014 so we can include them in our master calendar for OC 125. For more information please contact Audra Fishel at 714-834-3440. Do you know any hometown heroes? The Fourth District is accepting submissions to recognize unsung heroes in our community. This may include public safety, first responders, or friends and neighbors who have gone above and beyond the call of duty in everyday life to enrich our community. Join OC Parks' trained staff on an easy 1.1 mile hike to the park's Coastal Redwood grove. You will use your 5 senses to engage with nature as you stroll to the Redwoods. You will also have an opportunity to learn about our native plants along the way. The hike begins each Saturday and Sunday morning at 9:30 a.m. through May from the park's Nature Center. Don't forget to visit our Nature Center when you are there, too! The mission of the EJAG is to advise and assist SCAQMD in protecting and improving public health in SCAQMD’s most impacted communities through the reduction and prevention of air pollution. SCAQMD shall ensure that the EJAG include an ethnically and geographically diverse membership, consisting of up to 30 members, with at least two members from each county and representatives from the most highly impacted communities within SCAQMD’s jurisdiction. Members will serve staggered four-year terms. Upon recommendation by the EJAG Chair, appointments will be made by the Chairman of the Board with consideration for Board Member input, and following review by the Administrative Committee. The same process, as above, applies for reappointments to fill any vacancy or for removal of a member. Where: Fullerton City Hall, Council Chamber-303 W. Commonwealth Ave.
Where: Avalon Bagels to Burgers-174 E. Yorba Linda Blvd. Audra Fishel Ph: 714-834-3440 Email: Audra.Fishel@ocgov.com. 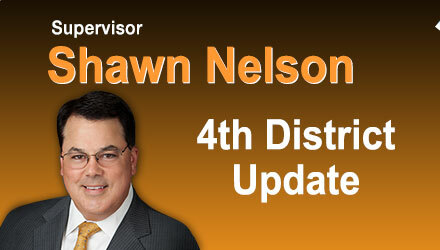 You are currently signed up to the 4th District newsletter. To unsubscribe, click here.